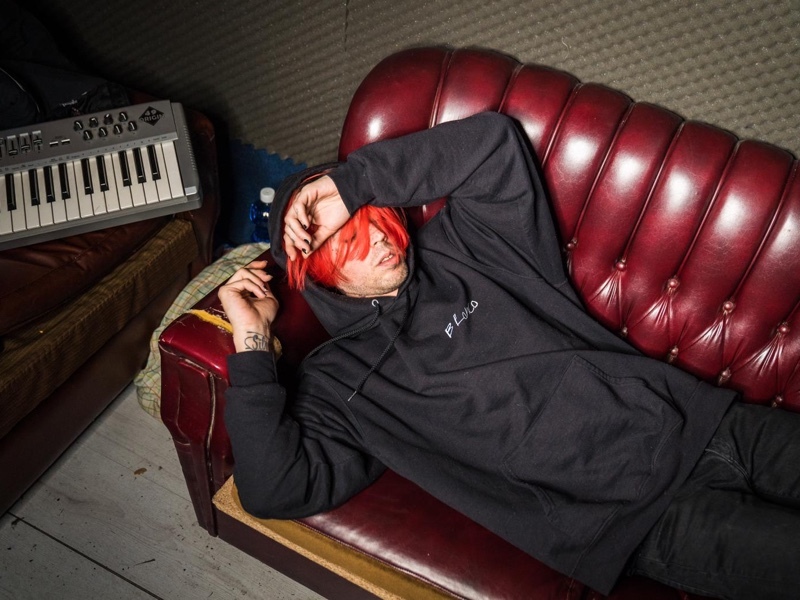 Hellpopstarwas one of the last's year surprises and his mixtapeTraumatismo Kraneoencefalicowith Yung Beef should confirm that 2019 is going to be his year. 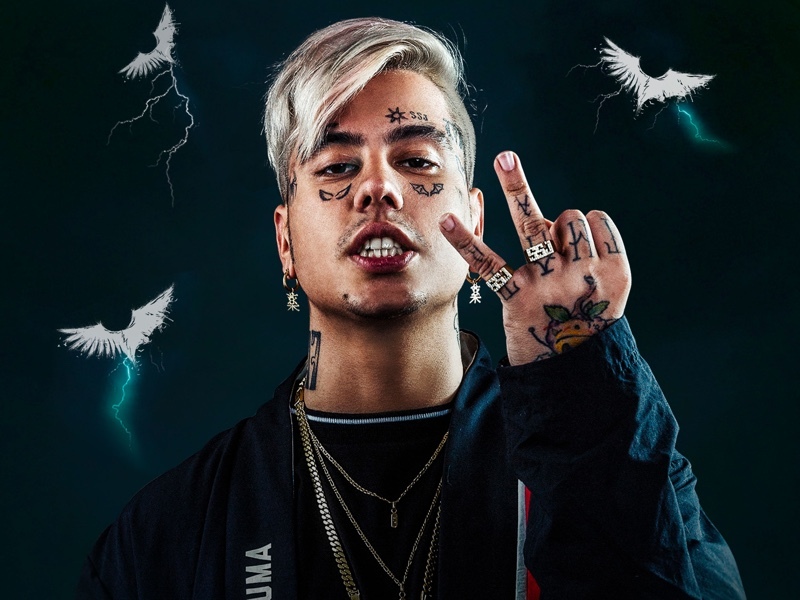 Music with alternative guitars close to emo/grunge bands, Goa has a dark personality that generates a strong#between him and his audience during his shows. His newest mixtape, produced by Fish Narc (Goth Boi Clique) is ready for this next spring. For a punk band to get the seal-of-approval from Milo Aukerman of the Descendents is on a par with performing in the Super Bowl halftime show and with getting exceptional reviews. No, that’s a lie: it’s way better. 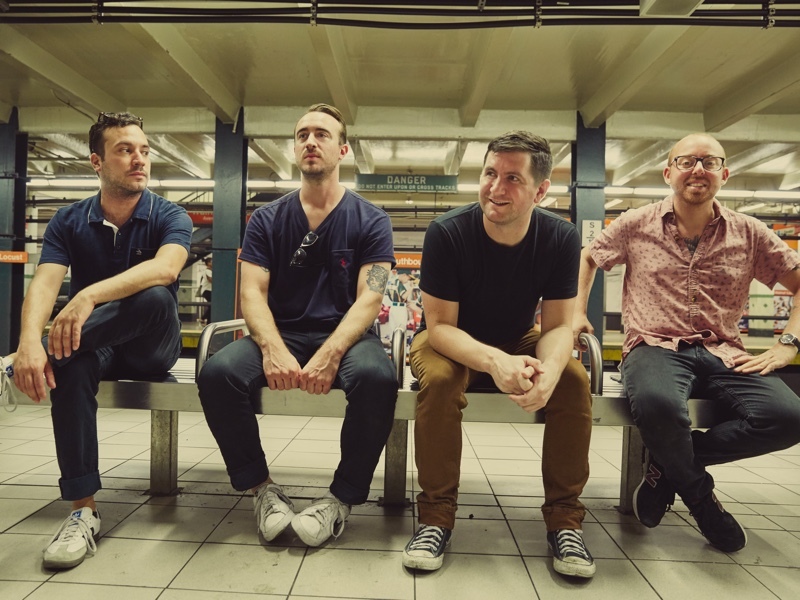 The Menzingers have something to be proud of, and it is because they are much more than one of the most exciting bands of new punk rock. They invoke the energy of Anti-Flag together with Springsteen’s romanticism and the morning-after nostalgia of the Replacements, influences that underpin the melodies that are worthy of the Descendents themselves.Active since 2006, it was with On The Impossible Past, their third album and debut on Epitaph that the band made a giant leap forward. The album made best album of 2012 in media including Noisey, RockZone and Absolut Punk. Milo Aukerman claimed that he was inspired by its emotional dimension. Since then the Philadelphia quartet has released two albums which are just as good, Rented World (2014) and After The Party (2017), and two new tracks Toy Soldiers and The Freaks, that hint that their sixth album could be in the pipeline.Whatever happens, this year Greg Barnett (guitar, vocals), Tom May (guitar, vocals), Eric Keen (bass) and Joe Godino (drums) will play in venues in our country for the first time ever. This will take place on 22nd May in La (2) de Apolo (Barcelona) and on 23rd in the venue Independance (Madrid), in a tour jointly organised by Primavera Sound and Hello Cleveland. 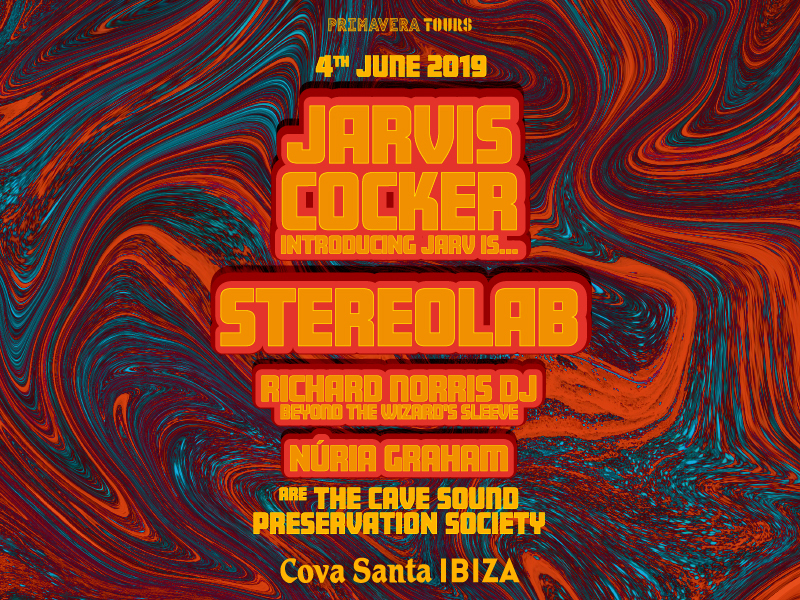 Article 1: NatureThe Cave Sound Preservation Society is the party that will bring together, in an ephemeral and unrepeatable way, Jarvis Cocker and Stereolab with other friends on Tuesday 4th June in the Cova Santa in Ibiza. There are things that only happen once in this life, and the coincidence of these two icons of contemporary music under the magical influence of the island, taking advantage of their presence at Primavera Sound and NOS Primavera Sound, is one of them.Article 2: StructureThe Cave Sound Preservation Society will be: one (1) concert of the new show Jarvis Cocker introducing JARV IS; one (1) concert of the comeback tour of Stereolab; one (1) concert by the Catalan artist Núria Graham; and (1) a cosmic grooves session with Richard Norris (Beyond the Wizards Sleeve). All of this will happen outdoors, under the starry skies of the island, around the entrance to a cave and with a very limited capacity. To sum up, one (1) totally unique experience.Artículo 3: Name and organigramThe Cave Sound Preservation Society will profess equal love for nature and for the historical and musical fellowship of Ibiza. Avant-garde pop marks the stylistic path along with contemporary psych, tropicalia, kosmische, dub and ambient: any style that draws inspiration from the island or inspires the island can be a part of our preservation society!Article 4: MotivesSeveral: a natural cave discovered in the XV century; a new show by Jarvis Cocker; a return to the musical essence of the island; a concert by Stereolab amongst their first in ten years; the happy nostalgia of Núria Graham; the musical legacy of Richard Norris of Psychic TV and The Grid, who has collaborated with Bryan Ferry, Marc Almond and Joe Strummer among others. In essence: a celebration with Jarvis, Stereolab and friends in Ibiza!Article 5: FleetingnessThe Cave Sound Preservation Society will convene and dissolve within the same night. Everything that happens at Cova Santa within those hours stays is shared amongst those present, who will draw and share inspiration from it... And who knows? Maybe next year it will happen again if the stars align.- General ticket: 50 € + distribution costs.- Balcony ticket: 70 € + distribution costs. These tickets will give access to a reserved area in the event with privileged views and its own bar service and will also guaranteed access to Richard Norris (Beyond the Wizards Sleeve) session that will take place inside the venue with limited capacity. Entry prohibited to children under 18. 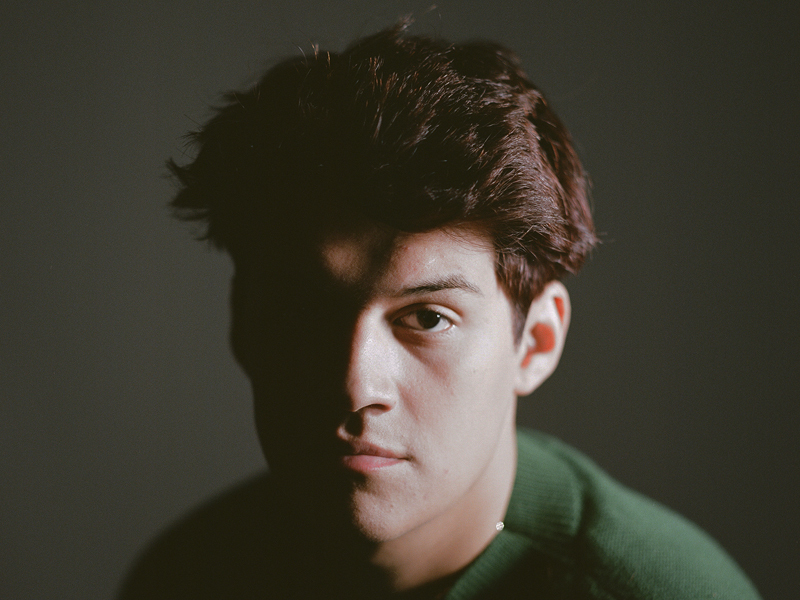 Born in Indiana to Mexican parents, Omar Apollo quickly disappointed his parents who had moved to the United States to give him better opportunities by leaving university just two weeks after starting his first year. But he had a plan: to concentrate on that guitar that he had been playing since he was 12 years old and which had opened the doors of soul, R&B and later jazz to him. So he gave up his studies and started writing his own songs. His references: D’Angelo, Los Panchos, Elliott Smith, Paul Simon, Gary Numan and Joao Gilberto. What could possibly go wrong?The answer is nothing. Omar Velasco (his real name) is only twenty years old and has just one self released EP, Stereo (2018), as well as a handful of singles and a second EP on the horizon, but like his peers Rex Orange County and Cuco, his stylistic versatility is infinite. As is his linguistic versatility -the boy is totally at ease using both English and Spanish in his lyrics… and sometimes even mixes them. All of this gliding through intimate sound atmospheres that are bursting with exquisite melodies, echoes of funk, jazzy grace and R&B finesse. 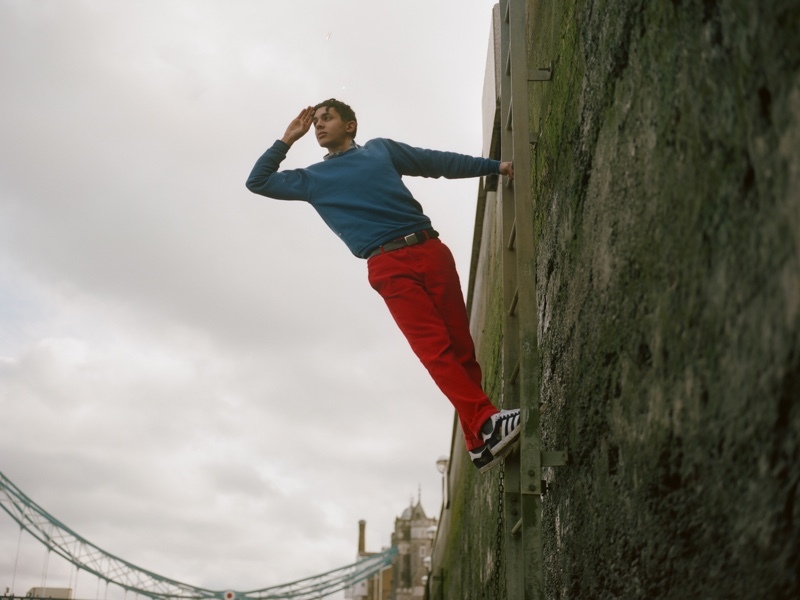 His songs have tens of millions of plays and he is destined to become one of the sensations of the imminent SXSW 2019, this first Spanish tour by Omar Apollo will be a unique opportunity to see him in small venues. Duki has became one of the most important trap artists in Argentina. His fresh style has been his sign since his firsts freestyle shows. In 2017 started to record a bunch of tracks and rapidly composedSi Te Sentis Sola, a song that became a hit and made him one of the greatest names in Argentinian trap. Since then he has been dropping singles with millions of plays likeLoca,She Don't Give a FoorSin Culpa. Chet Faker’s debut,Built on Glass(Future Classic, 2014), was built on glass to such a degree that it shattered. The Australian artist, who made a name for himself as a electronic soul troubadour with the much acclaimed EPThinking In Textures(Opulent, 2012), achieved what every new artist desires with his first album: superb reviews, immediate public affection and a world tour that took him to festivals like Primavera Sound, where in 2015 he gave one of the most memorable concerts of that year.But just one year later, Chet Faker, disappeared to make way forNick Murphy, the real name of the musician born in Melbourne 30 years ago. His first song freed up from his alter ego embodied the change: “You were scared to be yourself / For no reason”, he sang onFear Less. Free and unstoppable, Nick Murphy started the rediscovery with the EPMissing Link(Future Classic, 2017) on which he delves into the most oppressive, dance floor electronic beats.And from there to the recently announcedRun Fast Sleep Naked, his first full-length as Nick Murphy will conclude the transition on April 26th. In anticipation we haveSanity, a move towards the more organic and playful sounds of his beginnings, with a surreal video recorded in the Canary Islands. And we can also give the news thatNick Murphy will play on 4thOctober in Sala Riviera in Madrid and on 5th at Sala Apolo in Barcelonaas part of the world presentation tour of what will be his second album. It will be the first time that we will be able to see the artist formerly known as Chet Faker in Spanish venues. 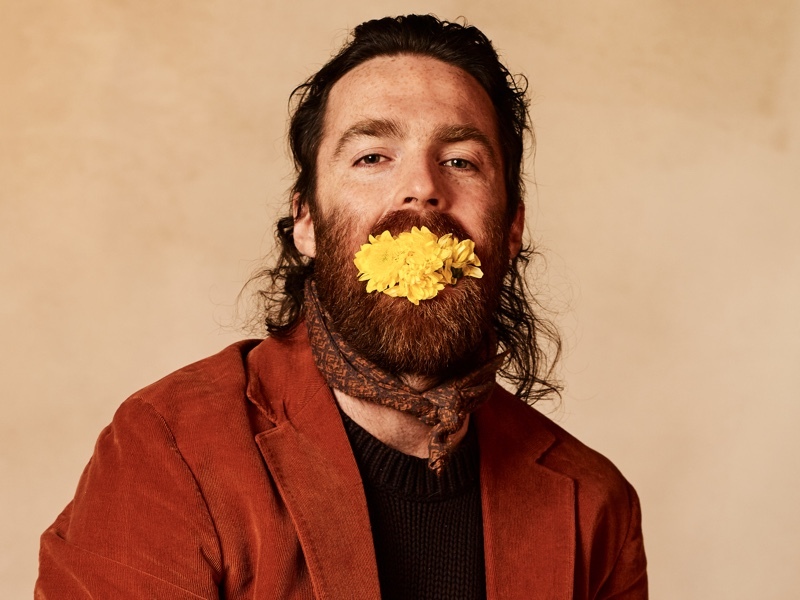 You got to know him as Chet Faker but you now you will remember him as Nick Murphy.Tickets on sale at the price of 25 € + distribution costs + 1 € donation toPLUS1, organization which has joined forces with Nick Murphy to donate this money to initiatives that fight for the dignity, equality and access for those who need it. Of course not, no way: the seven-headed dragon hadn’t gone anywhere. He was just resting. Hidden away, pausing, catching his breath. After a Guinness-like-World-Record 2017 during which they released five albums (five? Five! ), the hyperactive King Gizzard & The Lizard Wizard had an unusually calm 2018. Twelve months with no sign of life. In their universe, one in which a year seems to last longer than it does for the rest of us mortals, this is an eternity. But that’s enough: they need some fuzz.As if they wanted to make up for lost time quickly, the Australians came back at the end of January with seven fabulous minutes of vocoderized electro-glam on Cyboogie, their comeback single, first release from the album that will come out in April (Fishing for Fishies) the latest piece to add to an almost infinite puzzle (this isn’t hyperbole: they have released over a dozen records since 2012) that goes way beyond revival for revivals sake. 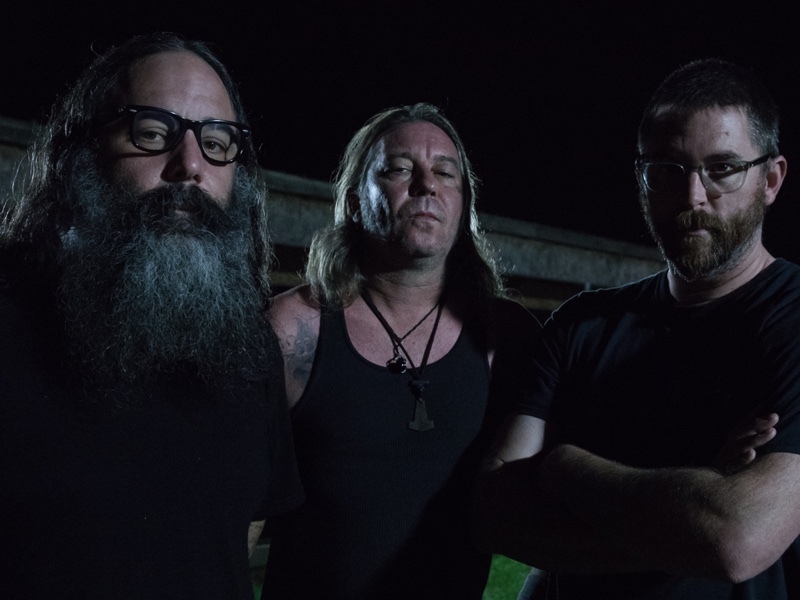 Although they have always had a foot in the sixties and seventies, Stu Mackenzie and his psycho-commune have managed to create their own personal sound that can easily be identified in younger bands. 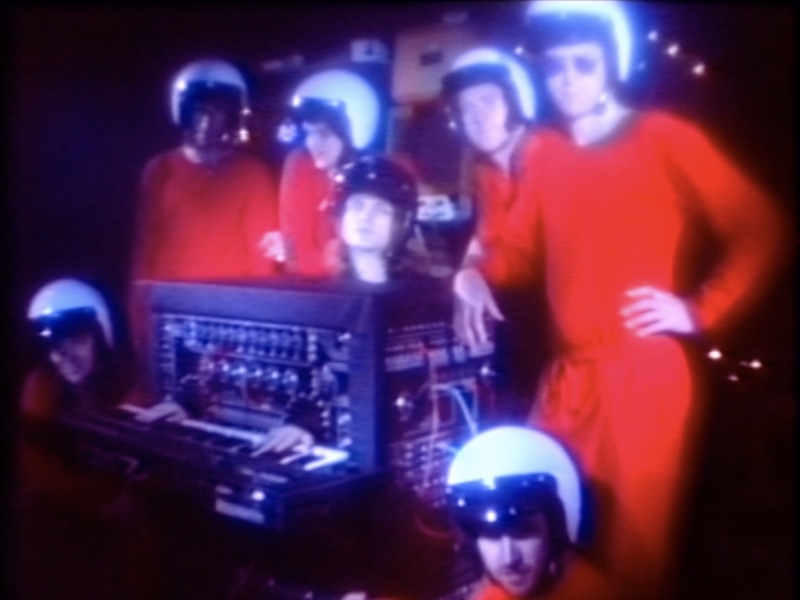 It is this role as musical influencers of this decade that has come into its own with Gizzfest, the festival that they have been organising in their native Melbourne since 2015.They do not forget their home when they are travelling around the world, now in hypnotic concentric circles, now in unstoppable motorik toing and froing during long XXL tours like the one that will bring them to Madrid and Barcelona in October. We will now be meeting them again, for the first time since their show at Primavera Sound 2017, with their two drum kits, those acid-spitting synths and those jams that you never want to end. And, knowing them as we already do, the question is not what will be find in Fishing for Fishies but rather how many albums they will have released by then.